Wind farms in Australia are making an increasingly larger contribution to the nation’s economic performance and should continue doing so in the future, according to a new study commissioned by the Clean Energy Council (CEC). The study, conducted by consultants Sinclair Knight Merz, found that a total of €3.4 billion has been invested in Australia as a result of wind power projects and, based on current proposed and approved projects, there is the potential for another €14.3 billion in local investment. 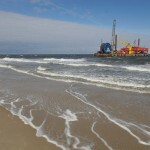 Offshore renewable energies are expanding to meet the EU’s 2020 renewable energy targets, but renewables are one of many activities competing for space at sea. Meanwhile, Europe’s maritime nations are currently operating under their own planning rules and guidelines, which often conflict with their neighbours and waste time and money. 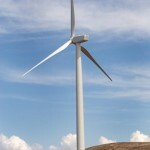 This was the focus of a two year project, funded by the European Commission’s Intelligent Energy Europe programme and coordinated by EWEA, entitled SEANERGY 2020. The main findings and policy recommendations of the project were presented at a final workshop as part of the European Union Sustainable Energy Week. 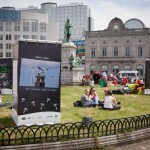 Brussels, the heart of European decision making where the EU’s movers and shakers live and work, is right now home to a photo exhibition displaying outstanding photos from the Global Wind Day photo competition. If you are in Brussels, don’t miss your chance to see the exhibition on Place du Luxembourg just in front of the European Parliament, where the European crowd gathers for lunch and drinks after a hard day of work. Budding and professional photographers alike were asked to capture wind energy in unique and inspiring ways. Come and admire the winning photos, and more pictures that we thought were beautifully shot and needed to be shown to a bigger audience, and learn something about wind energy too! The exhibition is up and running until 29 June, on Place du Luxembourg, 1040 Brussels, but if you can’t make it, read about the winning photos here. 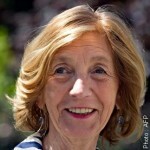 After a difficult few months for the French wind industry, Nicole Bricq, appointed French minister for ecology, sustainable development and energy, and now minister for external commerce, signalled her support for the sector and promised she will ensure that new projects can go ahead as planned. 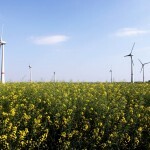 The wind sector took a knock of confidence in May when France’s highest administrative court the Council of State asked the European Court of Justice (ECJ) to rule whether the country’s premium purchase price for onshore wind constitutes state aid. The tariff remains in place – it could take the court up to two years to make a final decision – but the referral has cast a wave of uncertainty over the industry. Damian Carrington, a blogger for the Guardian online, has written a noteworthy piece on wind power under the title “why there’s only one honest objection to wind farms”. His blog was prompted by an article in the Sunday Telegraph claiming that wind power subsidies are “forcing up to 50,000 households a year into fuel poverty”. Carrington blows apart this argument by stating that between 2004 and 2010, fuel bills rose by £455, of which £382 was due to soaring gas prices, an issue this blog has previously written about.